Dogs are unconditionally loving and playful companions but they can be incredibly messy at times. They love rolling around in mud and jumping in puddles. If given a chance, they’ll stay covered in dirt all day and smell like they just don’t care. As a dog owner, it’s your job to bathe your dog and set things right. While you can’t bathe them all the time as it strips out essential oils from their fur, bathing them once in a while is necessary. Unlike humans who breathe in allergens, dogs absorb them through skin. So, if you don’t wash them enough, all the bugs and debris that might have stuck into their fur will hang around in there until they’re completely absorbed. Shampooing not only keeps your pet clean and fresh but also helps avoid problems like hot spots, flea, itchiness and tick infestations. However, choosing the right shampoo can be a bit confusing, considering the various brands and types available. To help you find the best dog shampoo, here is an overview of their types, benefits, downsides as well as review of the 10 best options. We hope this review will help you keep your dog healthy and happy. What types of Dog Shampoos are There? Depending on different requirements, there are five main types: hypoallergenic, flea shampoo, general purpose, puppy shampoo and black shampoo. Hypoallergenic shampoos are very mild and are beneficial for dogs with sensitive or dry skin. These are also advised if your pet’s skin is prone to allergies. They clean the fur and moisturize the skin, preventing irritation and flakiness. Hypoallergenic shampoos can be further categorized as natural, organic, oatmeal and medicated shampoos. As the name suggests, natural dog shampoos have all herbal ingredients. Organic dog shampoos have environmentally friendly ingredients. Oatmeal shampoos’ main ingredient is oatmeal as it is known to relieve itches and stimulate the oil absorption in the coat. Medicated shampoos contain medications like antihistamines, corticosteroids and topical anesthetics to help control the allergy. Flea shampoos are meant to kill fleas. If your dog has got flea, using this shampoo will instantly kill the colonies of fleas or larvae that may be living in the fur. However, it is not a permanent solution as it does not prevent reoccurrence. Flea shampoos can be medicated, pesticide-free or they may even have some powerful chemicals, so it’s always better to consult a doctor before using one. Unlike the above, general purpose shampoos can be used for most dogs. They suit most skin types and come with different scents and ingredients. Puppy shampoos are for very young dogs. Their ingredients are extremely mild and kind to baby skin. Black shampoos are for dogs with black coats. They are packed with optical enhancers and vitamin B5 to bring out the color and give a long lasting healthy shine. Dog shampoos are the cleansing agents for dogs and though the market is flooded with options, use only the best dog shampoo to ensure your pet’s hygiene and health. The product you buy should have pet-safe ingredients. Natural ingredients are always safer than chemicals, additives and dyes. Dogs are generally much more sensitive as their skin has only 3-5 layers unlike 10-15 in case of humans. Their PH balance is also more alkaline (around 7-8). Thus, if the shampoo used is harsh or does not maintain this level, your pet is bound to experience dryness, rashes and redness. A good shampoo is gentle, yet firm enough to eradicate all germs, fleas and ticks. And not to forget, it’s infused with pleasant fragrance. Dogs are usually touch-sensitive and bathing them is already an uphill task, so just a small amount of good shampoo results in plenty of quick lather. This also means that it is longer lasting and cost effective. And most importantly, it is FDA approved and fit for use. Do not compromise on your pet’s health by picking any random dog shampoo off the shelf. The only downside of dog shampoos is that some of these have very harsh ingredients and end up doing more harm than good. This results in dryness and shedding of hair, especially if your pet’s skin is highly sensitive. Also, some dogs are allergic to certain ingredients, so it’s always best to consult a vet before using a product on your dog. Excessive shampooing often leads to damaged, dull and rough fur, so it’s better to prolong the time between baths by brushing your dog’s coat daily. The Professional All-in-One Natural Dog Shampoo by Pupkiss is a safe, reassuring product with no chemical ingredients. Unlike most other shampoos, it has no trace of sulfate, phosphate or parabens. It is made naturally from a blend of coconut and palm oils mixed in with aloe extract and oatmeal, making it perfect for allergies and sensitive skin. Coconut oil has antibacterial, antifungal and moisturizing properties while palm oil is loaded with vitamins, antioxidants, phytonutrients like carotenoids (alpha, beta and gamma carotenes) and sterols (sitosterol, stigmasterol and campesterol). Many other shampoos also claim to be natural but they have just 1%-3% oatmeal or Aloe Vera, leaving the pet’s skin dry. But the Professional All-in-One Natural Dog Shampoo cleanses, deodorizes, moisturizes, conditions and detangles (5-in-1) without causing any dryness or itchiness. It has a nice citrus fragrance that will instantly make your furry friend feel fresh and happy. The company is confident that users will see benefits and if not, they have a 100 percent money back guarantee in place. This is a nice plant based product with balanced PH level and rich emollients that give dense, creamy foam. If you want something organic, you can try this one! Some users complained that the scent is too subtle to be noticeable enough. This is an antiseptic leave-on lotion with various moisturizing ingredients. The main ingredients are chlorhexidine gluconate (3%), climbazole (.5%) and phytosphingosine salicyoyl (.5%). Chlorhexidine controls bacteria by disrupting the bacterial membrane. Climbazole, an imidazole compound, controls fungi and yeast populations and thus, it also helps eliminate pruritus. Phytosophingosine, a proceramide, has anti-inflammatory properties and helps restore the skin barrier. The blend is very beneficial in managing severe allergies and skin conditions. All you have to do is to brush your dog’s coat thoroughly and then massage the mousse foam for it to be absorbed into the skin. The foam is fairly watery and easy to spread through. As it is a leave-on mousse, it doesn’t require bathing or rinsing. Let it air dry and once dry, brush the pet again to bring luster. The product leaves no residue and is convenient to use, especially if your dog hates bathing. It is usually recommended to bathe your dog with DOUXO Chlorhexidine on day 1, apply the mousse on day 3 and day 6 and then repeat this for 2-3 weeks for best results. If your dog has severe allergies or skin issues, this antiseptic product may be a perfect solution but do consult your vet first. Some users didn’t like its medicine-like smell. This is another 5-in-1, naturally made dog shampoo on our list. It cleanses, detangles, conditions, deodorizes and moisturizes your dog’s skin and since it is made from soothing coconut and palm oil extracts, it is safe for all skin types. Both the oils are very light, so the product is not too greasy. It is enriched with omega 3 and 9, so it deeply nourishes the skin, giving your pet a silky and shiny coat. And since it is chemicals and soap free, you can even apply it on face. It is a thick shampoo that lathers well and gives a pleasant, long-lasting smell. Comparatively, it is a new product in market but it has become a popular choice in short time. If you prefer a single organic product for all the above 5 uses, this one serves the purpose well and if you aren’t satisfied with usage, the company offers a hassle free 100% refund. It is light and may not be effective at detangling very hairy coats. FURminator deShedding is a specialized leave-on spray that helps reduce shedding without requiring a traditional bath. If you are having a hard time trying to bathe your dog, this is the best dog shampoo for you. You just have to spray it generously onto your dog’s coat, brush in and then towel dry- no water or rinsing is required! For brushing, FURminator deShedding comb is suggested but it needs to be bought separately. Enriched with safflower seed oil, aloe, omega 3 and 6 fatty acids, the spray strengthens and moisturizes the hair shaft. Since it is completely organic, it contains no parabens or chemicals and is suitable for most dogs. Just be careful not to spray it over dogs aged six weeks or less as they are too sensitive for any topical application. This is a small, handy bottle that you can carry in your bag and use anytime during travels. It helps control hair fall, gives gorgeous, tangle-free hair and is inexpensive too. Buy it online to avail massive discount. Some users complained that it’s too greasy. What makes this hypoallergenic shampoo special is Bentonite clay. This ingredient is an age-old medicine to cleanse and heal skin. It instantly binds with fungus, bacteria, heavy metals and toxins in skin and draws them out completely. It is also very effective at removing unpleasant odors. The shampoo has rosemary that helps with blood circulation and vetiver that’s a naturally-occurring antiseptic with fresh scent. Other than that, it contains natural oils such as coconut, olive, sunflower, neem and argan for nourishment and soothing. Since neem oil is also an antiseptic, it helps keep away fleas and other pests. All ingredients in this product are organic and safe for use. The blend is PH balanced and has anti bacterial, anti fungal and anti-itch properties to keep your pet healthy and happy. It also works as a quick treatment for hot spots. As it is a concentrated solution, you need to use only a little at a time. It lathers well, washes off easily and lasts longer. Even the bottle is designed in a way that it prevents the shampoo from pouring out too quickly. It is gentle, easy to use and gives great results, especially if your dog is prone to allergies. Some users didn’t like its smell. This organic shampoo has 4 in 1 benefits. It cleanses, neutralizes odor, deodorizes and conditions your dog’s coat. Made from natural cocoa surfactant, chamomile and oatmeal, it is a soap-free tearless formula that provides exceptional cleansing, softens hair and eliminates static electricity. Additionally, it is enriched with vitamin B that helps your pet’s nervous and immune system functions. For deodorizing, it has a honey and sage scent that smells good and lasts longer. The product works well for sensitive skin and can be used alongside with other flea and tick medications. It is PH balanced and maintains skin’s natural oils without drying it out. It is soap free but lathers well and can be rinsed with ease. If your dog is already on some flea or tick medicines, has a flaky skin or smells bad all day, this may be a nice option for you to try. This shampoo is hypoallergenic and also helps treat flea bites, allergies and itchy skin. It can be used also alongside with other flea treatments for ultimate protection. As the name suggests, it can be used for dogs as well as cats. Enriched with Aloe Vera gel, almond oil, oatmeal oil and vitamins E, A and D, it is gentle on sensitive skin and promotes good health. It is completely organic and contains no alcohol, artificial colors, soap or chemicals. Since the blend is very mellow and PH balanced, it doesn’t strip your pet of their natural oils. Maybe it’s not a cure for serious skin allergies but a lot of veterinarians recommend it for its delicate action. It is a 5-in-1 cleansing agent that not just gives deep cleansing but also conditions, detangles, deodorizes and helps treat allergies. It has a strong fruity smell of cherry and almonds, so if you prefer a mild smelling shampoo, you may want to consider some other brand. It is a trustworthy product with many happy users. However, if you are not satisfied with the usage, there is a 100% money-back guarantee policy in place. It is one of those few concentrated shampoos that you need to squeeze only a little for each bath. It gives plenty of lather, washes off very easily and offers great value for money. Some users complained that it wasn’t much effective at detangling very hairy coats. This is another great plant based cleansing shampoo made from lavender and chamomile. The blend is PH balanced and has no harsh chemicals, making it ideal for dogs with sensitive skin. Also, the smell is very subtle and long lasting. The product effectively cleanses, detangles, conditions and moisturizes your dog, offering 4-in-1 benefits. It is a concentrated formula, so you only need to use a small quantity each time. 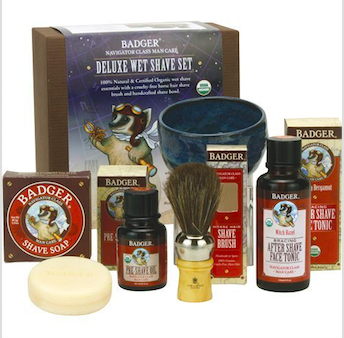 Its rich lather doesn’t get stuck in fur and rinses off easily, thus offering more bang for your buck. In fact, the company claims that users get up to 70% more baths out of this bottle than out of other similar dog shampoos. Users find it very effective in soothing itchy skin and controlling shedding. Also, it is not as expensive as most other dog shampoos, especially if you buy it online. This is the lowest cost option on our list and if you are on a tight budget, this is the best dog shampoo for you. This product conditions your dog’s coat and also reduces excessive shedding by releasing the dead undercoat during bath. All products under FURminator’s deShedding range have proven to be effective at reducing shedding. For best results, use it with Furminator deShedding Ultra Premium Shampoo. Made from natural ingredients like cranberry seed oil, calendula, chamomile, aloe, safflower seed oil and sunflower seed oil, it provides deep nourishing and is safe for all skin types. Also, it is enriched with vitamin A, vitamin B5 and Omega 3 & 6 fatty acids to improve your pet’s immune system. It is very gentle but use only for dogs over 6 weeks of age as younger ones are too sensitive for any topical application. It is light and easy to spread through your pet’s coat and many users feel that it helped bring back the original hair luster and volume. If nothing else is working on your dog’s coat, this one really should. It needs to be used after a shampoo, unlike most cleansing products that offer 2 in 1 benefits of cleansing and conditioning. Paws & Pals Natural Dog-Shampoo And Conditioner is strictly formulated with all natural, vegan and certified ingredients. Made from natural aloe, jojoba, oatmeal, rosemary, shea butter and coconut oil, it helps relieve even the most dry, itchy skin, leaving your pet’s fur clean, smooth, odor-free and full of shine. It is gentle, soap-free and safe for sensitive skin. It is suitable not just for dogs but also for cats, so if you have both at home, this single bathing product is enough. Just wet your pet and apply it from head to tail. Users find it easy to apply in a tub or shower and though it is thick, it rinses off easily without leaving residue. For best results, use it with lukewarm water. It is a clinically medicated product formulated with the help of a veterinarian foundation. It is safe and mild enough for daily use. It is a very popular product and is known to have worked well for almost all dog breeds and skin conditions. Some users complained that the scent is too subtle. Your pet is a loving member of your family and deserves only the best. Reviewing the popular options in market, we feel that Paws & Pals Natural Dog-Shampoo And Conditioner is the best dog shampoo. It is 100% organic, vegan and has been clinically formulated with the help of a veterinarian foundation. It has very rich ingredients and it deeply cleanses and nourishes your pet’s skin to promote overall health. Also, it is gentle enough for regular use on sensitive skin. In terms of cleansing, conditioning, nourishment and odor-control, it receives 10/10 and all its users seem to be very happy with their experience. 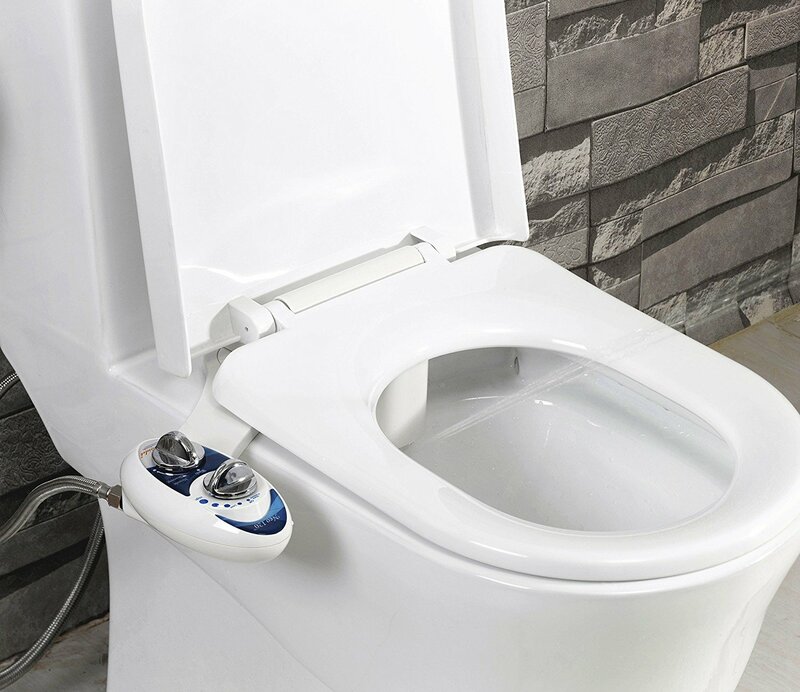 Seeing so many happy users, we can’t help but recommend this product to our readers. However, note that every dog is different and it is always best to consult a vet before applying any product on your pet. Like always, we would love to know which one do you think is the best dog shampoo. If you have used any of the listed products, please leave your comments below to share your experiences. For more pet related reviews click here to read about water fountains and here if you want to travel with your pet. For litter boxes this review will do!